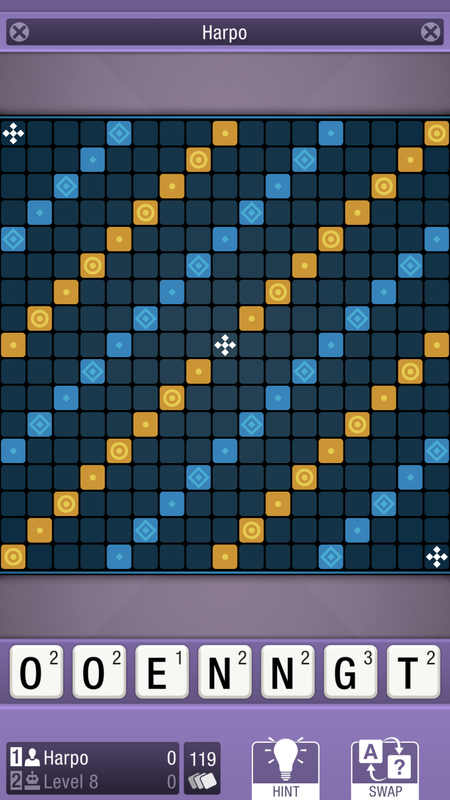 CrossCraze is a fun, modern twist on the classic crossword game, designed for players who prefer the challenge of a computer opponent. You can also play offline with a friend. With its super-smart AI and huge range of gameplay and display options, CrossCraze will take your word play to another level. 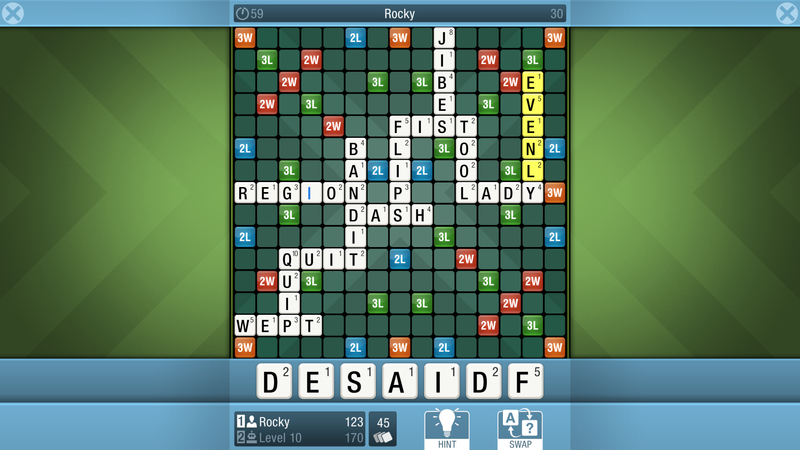 Choose from 'Classic' mode, where new letters must link to existing words (e.g. 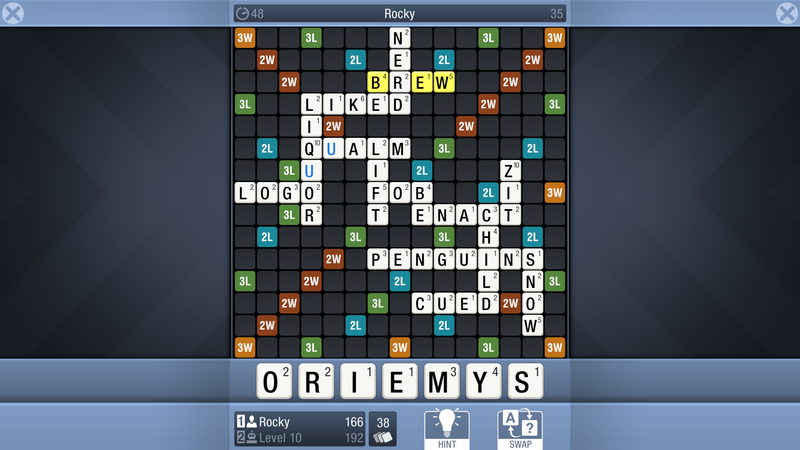 change RABBLE to SCRABBLE), and 'Tile Stacking' mode, where new tiles can also be dropped over old ones (e.g. SCRABBLE becomes SCRAMBLE). Frustrated by the cheating found in online word games, with so many players using puzzle solvers and in-app purchases for an unfair advantage? Tired of hanging around for your friends to make their move? CrossCraze's single player mode lets you choose a computer opponent to match your own skill level. It never takes more than a moment to think, never abandons a game before the end, and never sends you inappropriate messages. How refreshing! CrossCraze gives you a wide choice of layouts and board sizes, from the standard 15x15 squares, up to supersized 21x21 boards. These larger sizes reduce the first-move advantage for a fairer game. Whether you like your display bright and colourful, or subtle and dark, CrossCraze has a board style for you. You can even change the screen colours to match your taste. Play in English (US or International), French, German, Spanish, Italian, Dutch, Danish, Norwegian or Swedish. CrossCraze has a vast vocabulary of over 4 million words, sorted by difficulty. English and French dictionary definitions are also available. Lost for words? 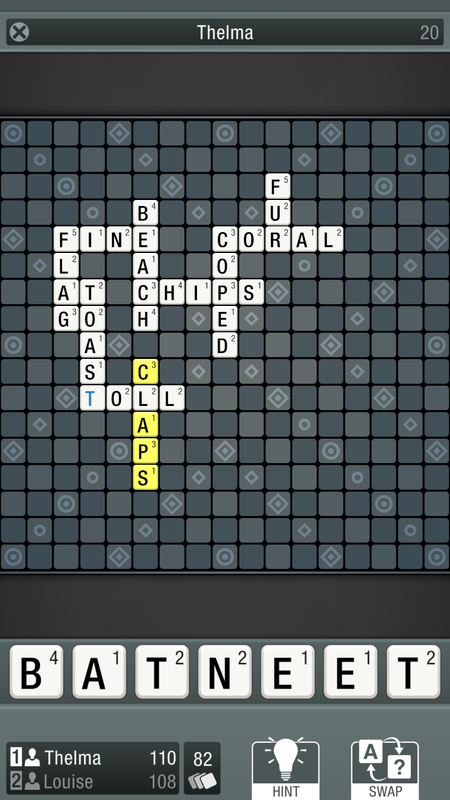 CrossCraze's unique 'hint' system will find you the best word. Allow yourself as many or as few hints per game as you like. CrossCraze can spell out the full word, or just show you where to look. 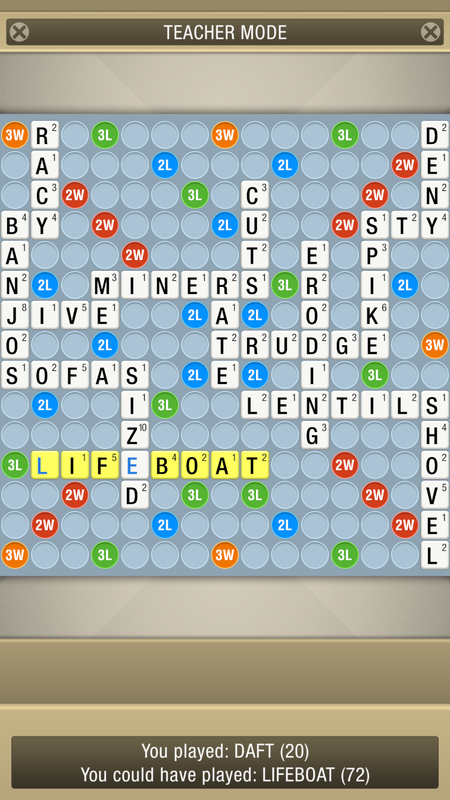 Want to play names, or other words that aren't usually allowed? CrossCraze's 'flexible vocabulary' option lets you override the default word list. 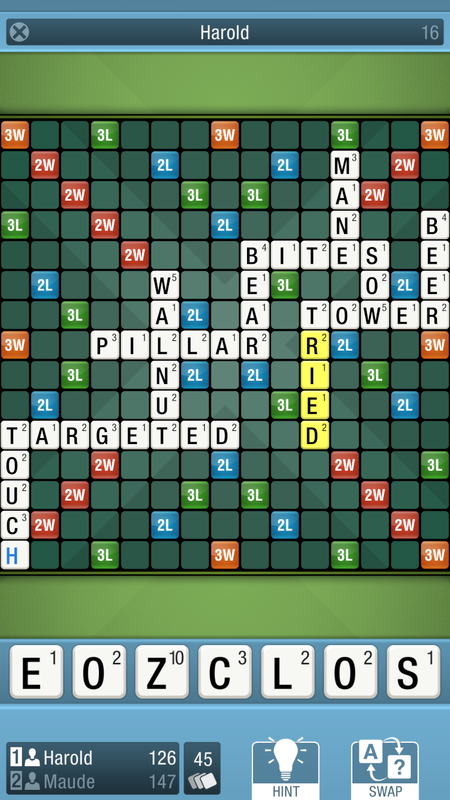 Choose from three tile allocation methods: 'Random' for pot luck; 'Balanced' for a more predictable draw; or 'Helpful' to maintain an even spread of letters across your rack. CrossCraze is a great educational tool for all ages. Boggle your brain, improve your spelling, expand your vocabulary, or even practice a foreign language. 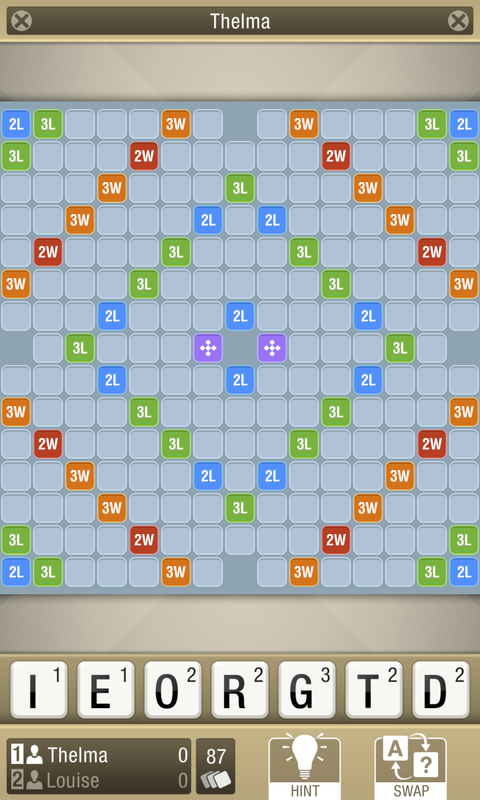 It's also an excellent training aid for fans of other word-building games, so begin your journey from word game novice to Scrabble® tournament master today. SCRABBLE® is a trademark of Hasbro Inc in the US and Canada, and Matel Inc in the rest of the world. This website, ORT Software and CrossCraze are not affiliated with or endorsed by either company.